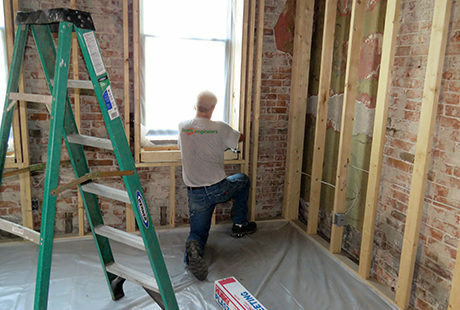 A 100 year old townhouse is under renovation in the Benton Park neighborhood located on the south-side of St. Louis, Missouri, just west of the Soulard neighborhood. The neighborhood was created on June 25, 1866, by city ordinance. 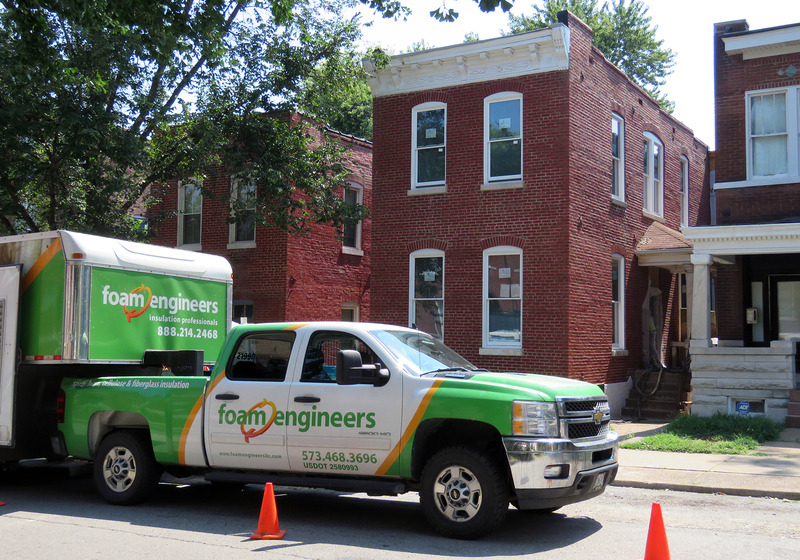 Patty Maher of Tiger Lily Development LLC, a sustainable rehabber of historic properties, brought in Foam Engineers to help this property receive an Energy Star Rating. Foam Engineers applied R30 open cell SPF to the underside of the roof deck. The townhouse has a new roof with 2" foam board above the deck which combines for about an R40. 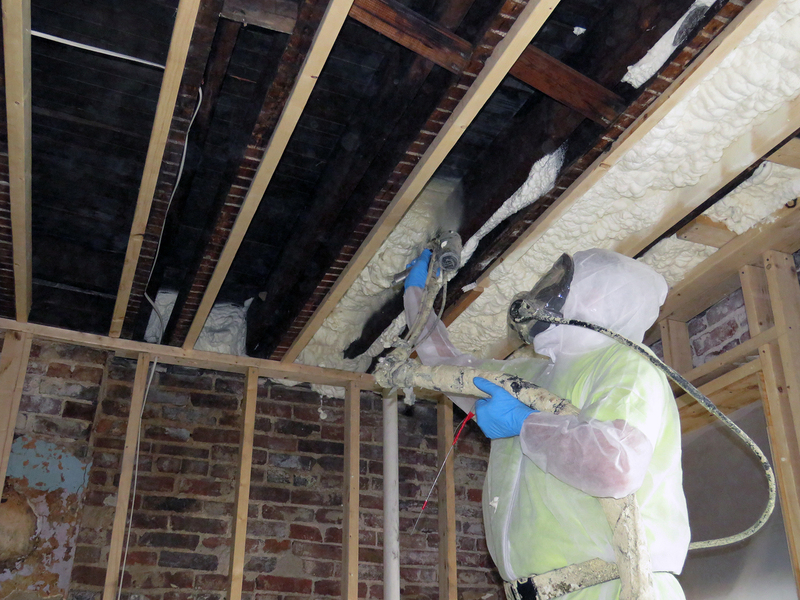 Masking preparation before spray foam insulation is applied. After closed cell foam is applied on all the walls, the floor masking is removed. 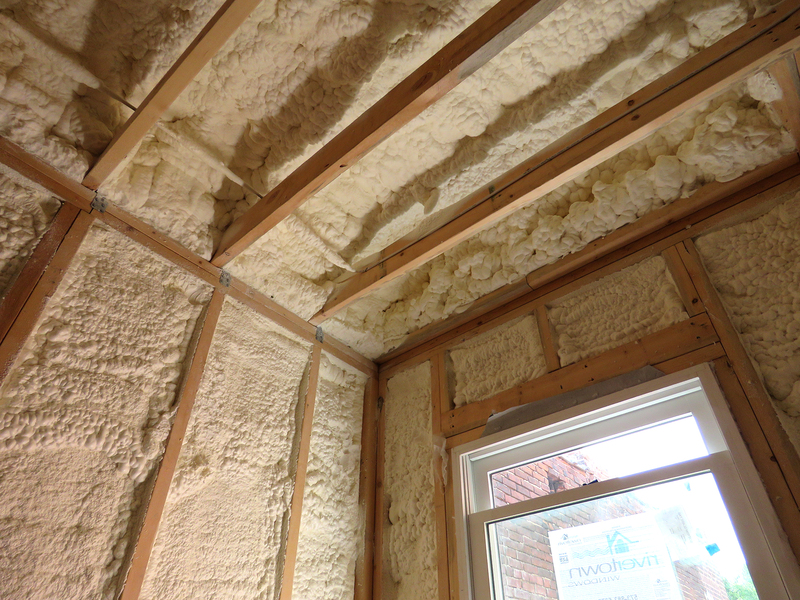 High R-values can be easily achieved using open cell spray foam insulation. 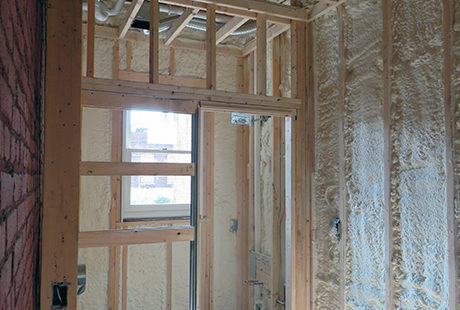 Bathroom addition has R13 ~2” closed cell foam applied to greatly reduce any moisture transmission. Masonry is very porous and allows for the transmission of moisture unchecked into the home. 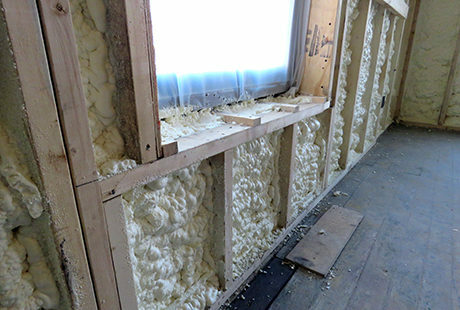 Foam Engineers sprayed R13 ~2″ closed cell foam on all the walls making them vapor impermeable, this will greatly reduce any moisture transmission. 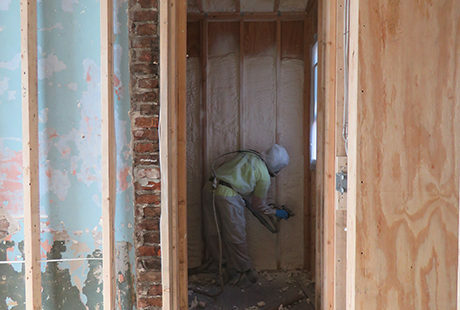 Closed-cell foam has a very high R value per inch, so for areas that need to be flat framed for historical considerations, like maintaining wall profiles, it can be very helpful in maintaining the building envelope without sacrificing architectural design.